Let’s be honest with each other. When you get a chance to play Hitman 2, the first thing on your mind is how funny can we make this mission. At least that was my mindset when I jumped into our demo with IO Interactive and WB Games/Warner Bros. Interactive Entertainment this week at E3. We got a chance to play a mission where (keeping things relatively spoiler free) we had to kill a racecar driver while they were on the track. We had two ways of accomplishing this goal: the silent way or the sloppy way. We chose both because we’re awesome. We played the mission once as the deadly sniper we are, making our way through back doors and into other areas with costumes and hidden weapons to eventually make it to a sniper perch. 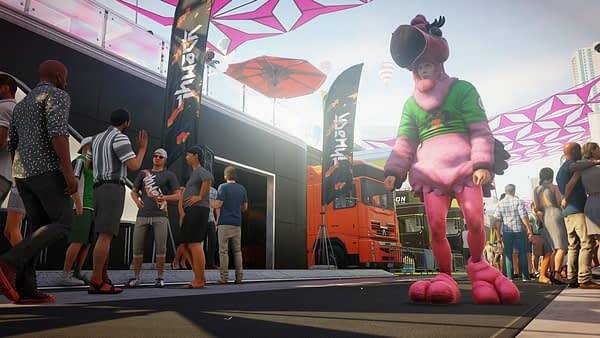 There was a point where we had to dress up as a flamingo mascot, and if not for the story, I was going to take that costume all the way to the end and kill my target in full pink gear. After succeeding there, we went back for sloppy seconds, if you will, by planting a bomb on the target’s car and blowing them up as they raced by. The second way was a lot more intense and required a lot of detection avoidance to get what we needed out of the deal, but it worked out. After a few moments of playing, we were back in the old habit of contract killing and wondering why the hell no one ever bothered to question the barcode on the back of our head. 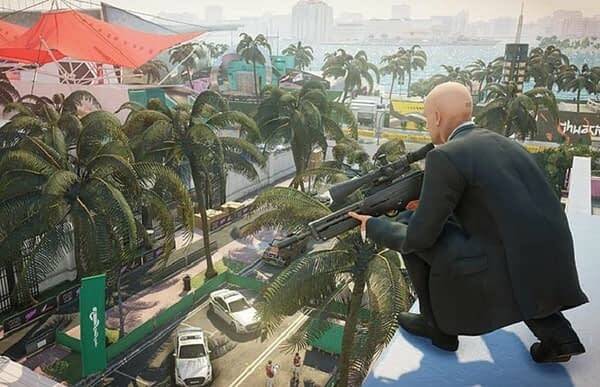 Hitman 2 was a bullseye winner at E3. No complaints about the game at all, we just want it in our consoles immediately. Sadly, we have to wait for November to see it happen, but for now, it was an awesome experience and we encourage all fans to seek it out.